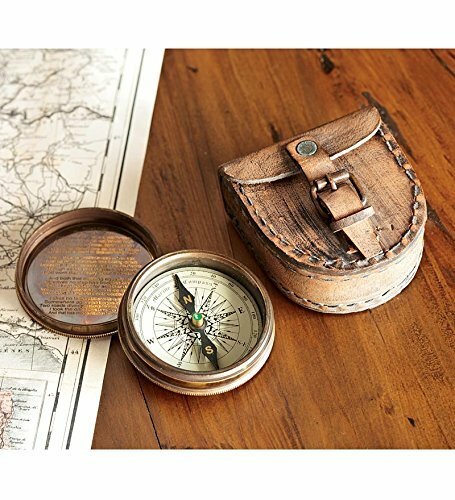 Having moved to Australia and left most of my possessions in the UK (including lots of African souvenirs that Australian customs would not allow in due to the untreated wood) I am craving some travel inspired accessories around me! 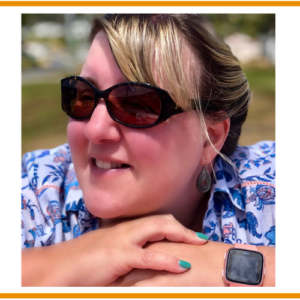 I love travel so surrounding myself with some of these travel themed items is the next best thing when I am at home. 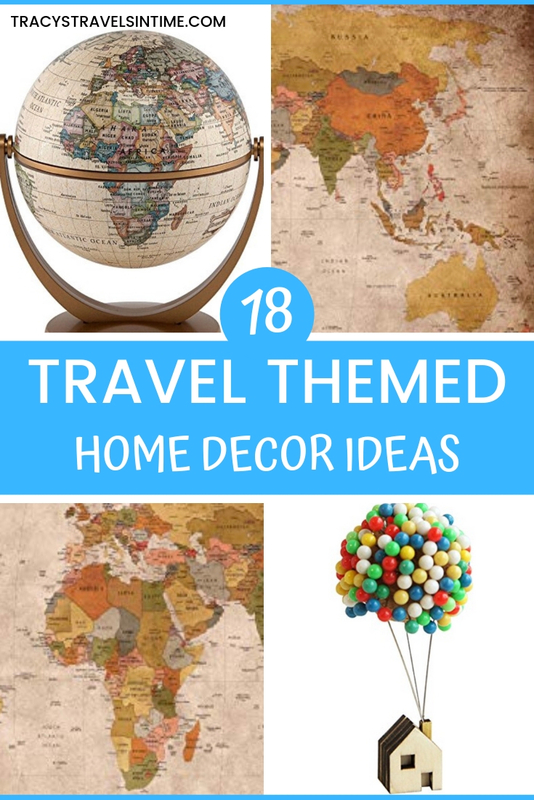 So to get my fix I am doing the next best thing by putting together this post of travel inspired home decor ideas for the travel obsessed! 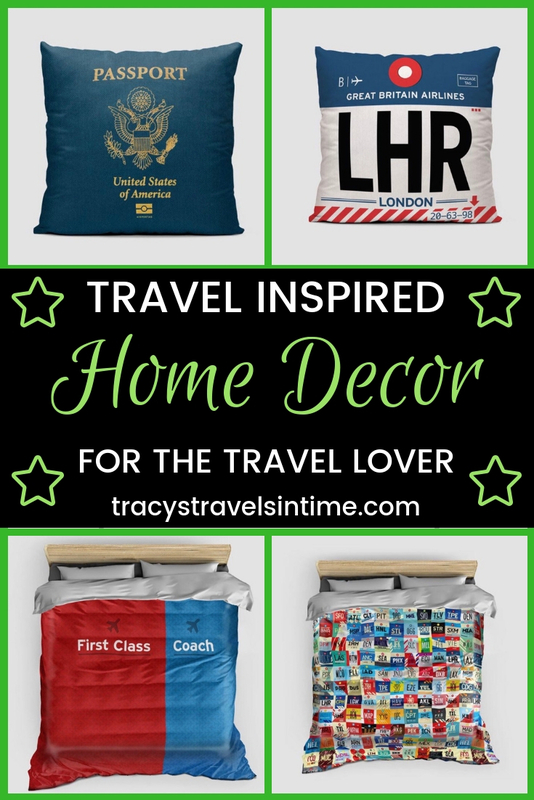 If you are looking for some inspiration for your own home or for a great gift for a friend or family member who loves to travel this is the post for you. I can’t resist cushions and I would happily have any of these around my home! 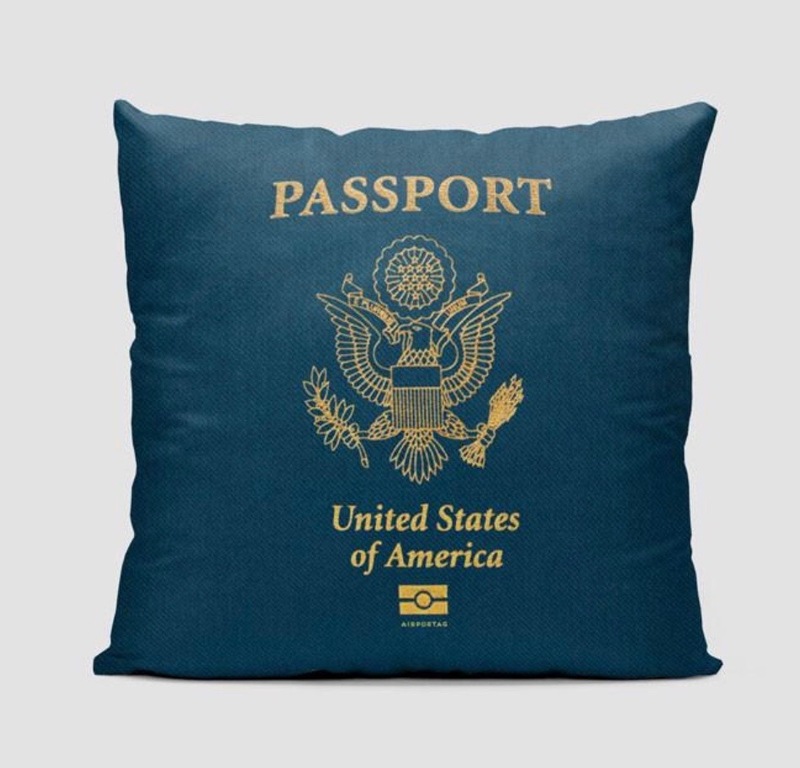 Relax on the comfort of your passport. The cushions are soft and comfortable and come in 4 sizes to suit any couch or bed. 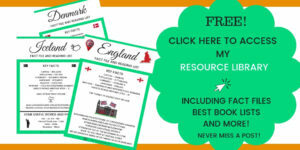 Perfect for travel lovers, frequent flyers and aviation enthusiasts. 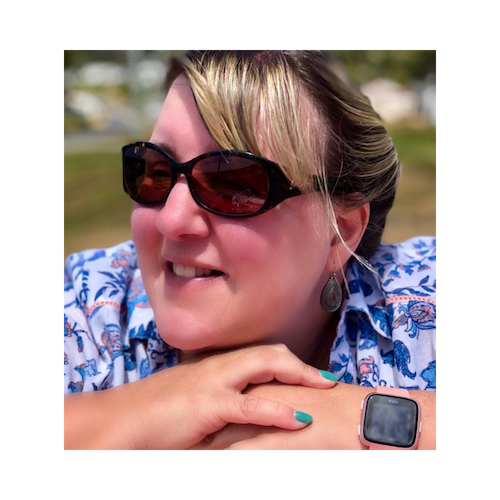 USE THE CODE TRACY-TRAVELS AT THE CHECKOUT FOR A 10% DISCOUNT! 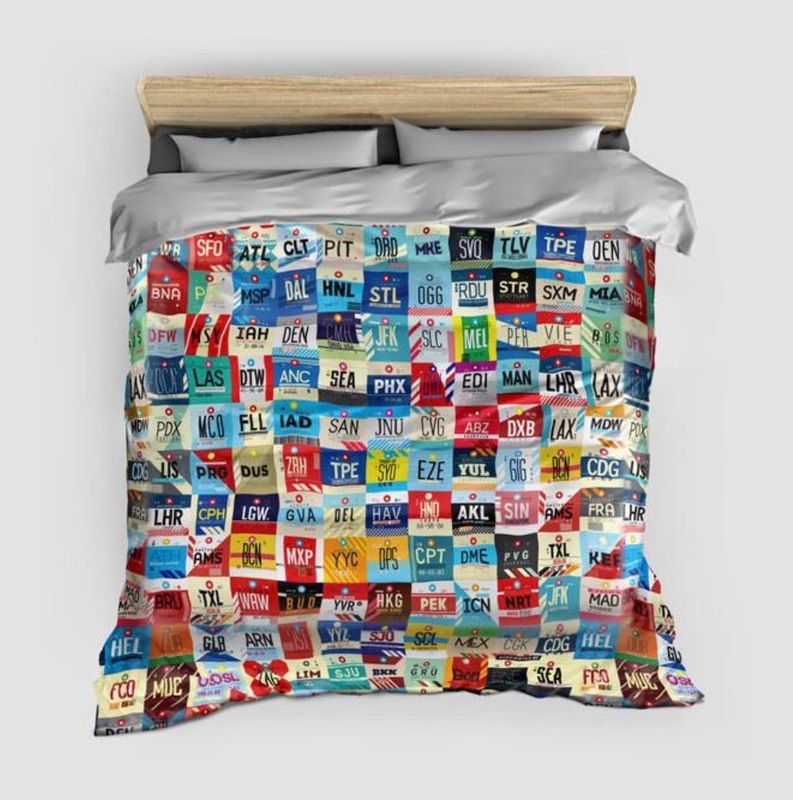 I absolutely adore this duvet cover! 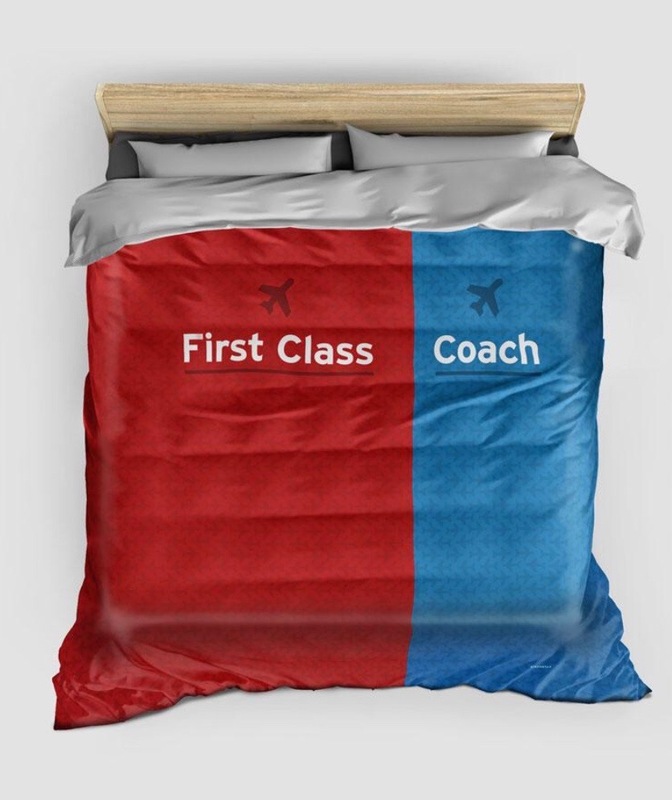 According to my husband I am definitely in the First Class section!! For travel enthusiasts this is the perfect way to cover yourself in chilly times. This duvet cover not only looks incredible, it feels incredible because of the ultra soft microfiber. I absolutely love this and would have this near the front door! This also comes in ARRIVALS and CHECK-IN! Buy them all! Fine art print on bright white, matte canvas using latest generation inks. Individually trimmed and hand stretched over 1-1/4″ deep stretcher bars. Solid front construction and beautiful corners. 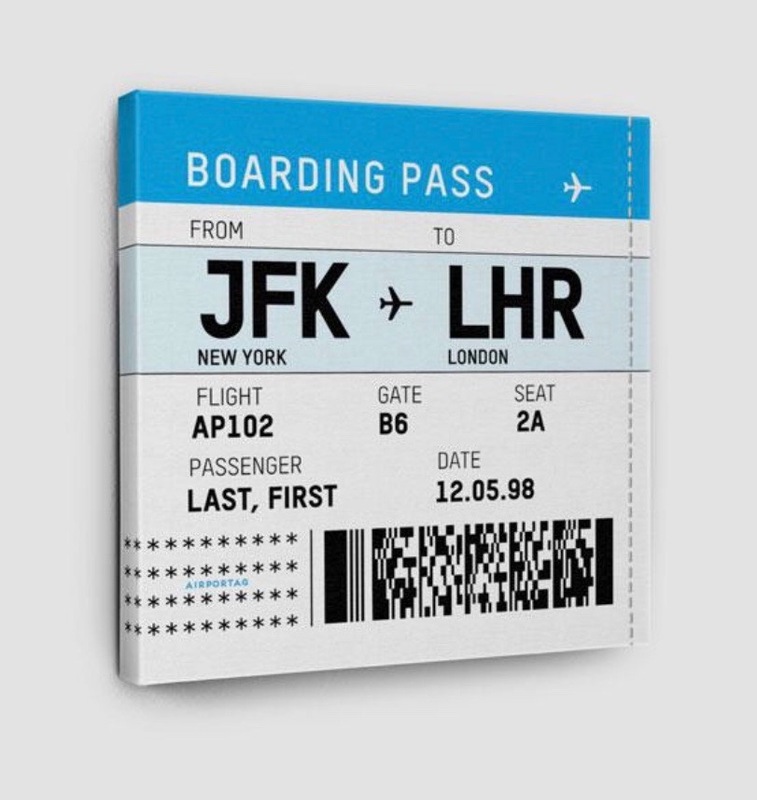 Create your own boarding pass canvas! 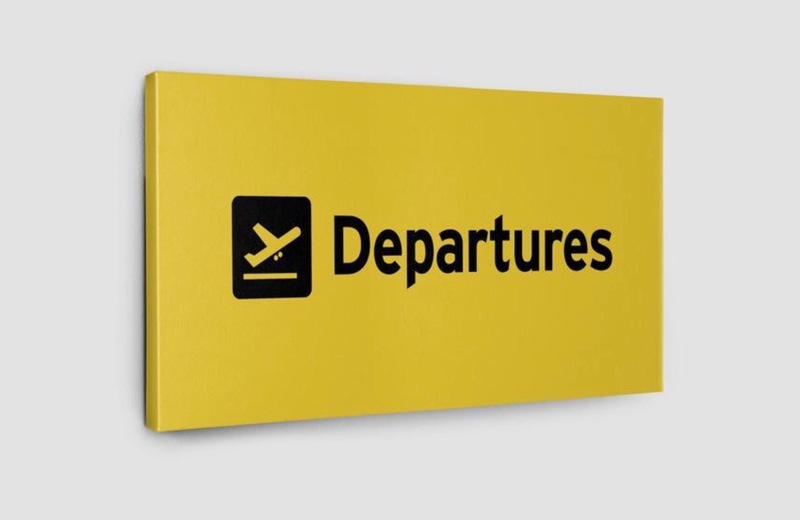 Create your own boarding pass to remind you of a favourite flight perhaps your Honeymoon or other special memory! 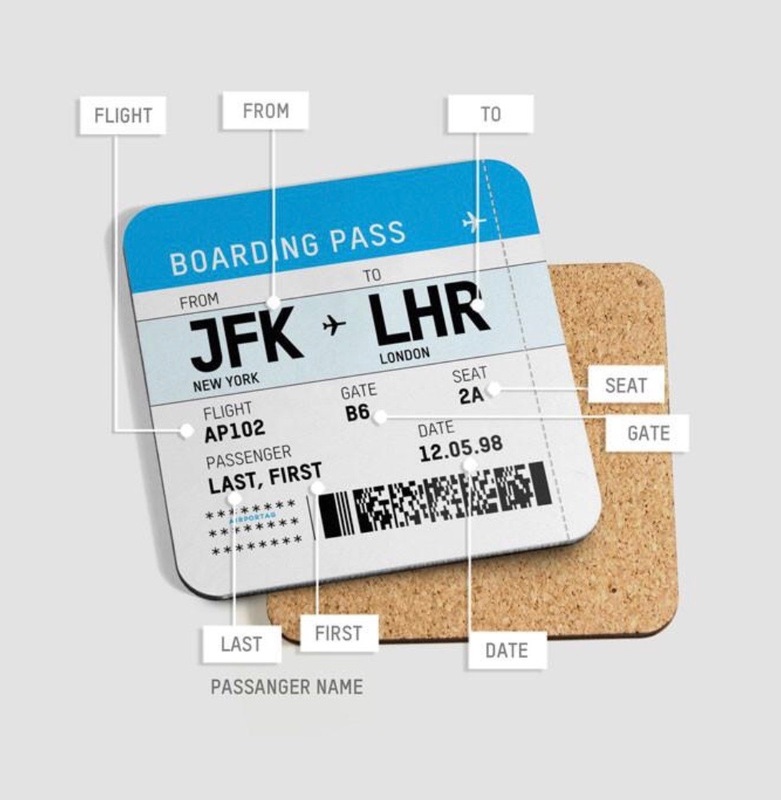 Create your own boarding pass coaster! 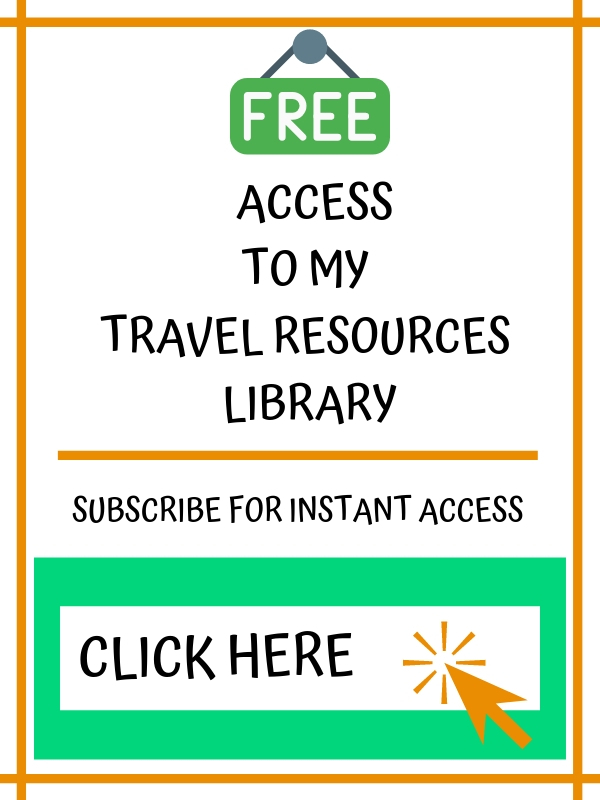 Take your travel memories to a whole new level! 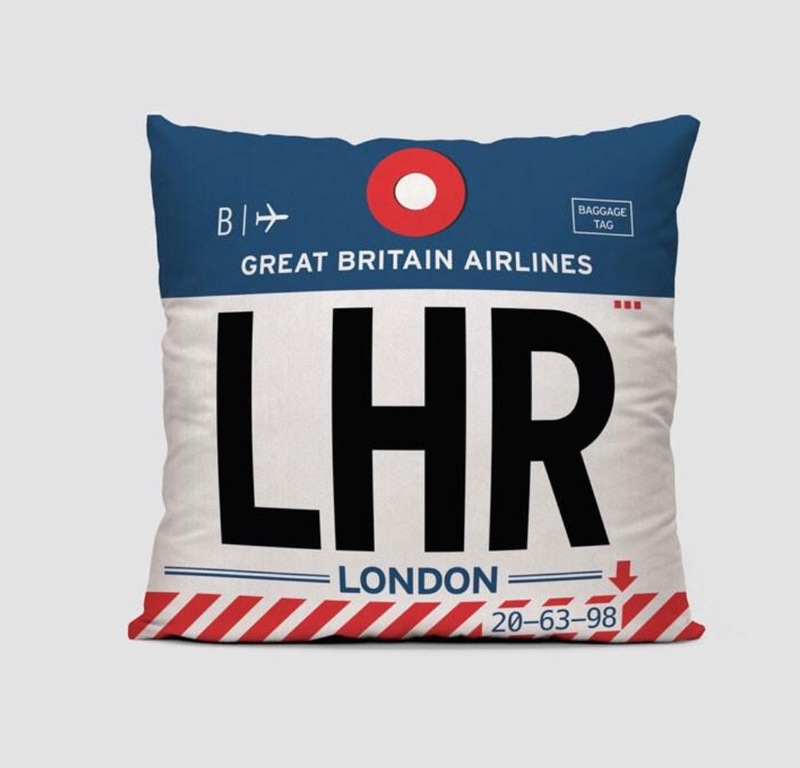 An amazing gift for those who love traveling. Land your drink on this amazing coaster. Perfect for hot and cold drinks the coasters are made of heat resistant wood with a high gloss finish and cork on the back. This unique coaster will surely to bring a smile to any travel lover. Sold as a single unit, so you can create your own set. 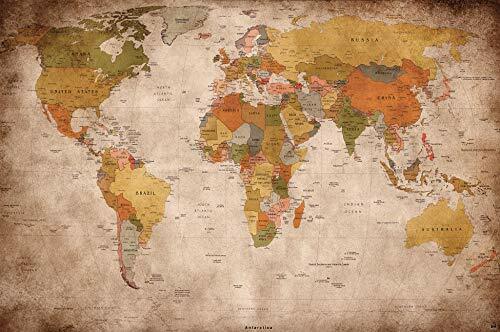 If you are like me you will love maps, atlases and globes. 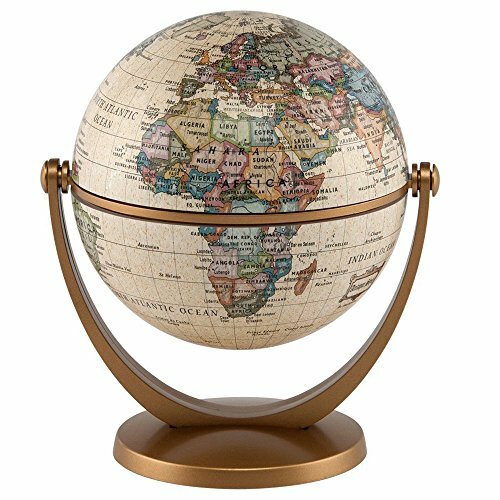 So why not buy your very own globe? A definite for the travel lover! 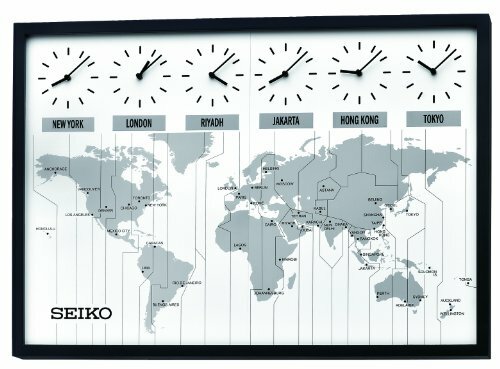 I absolutely love this wall clock – who doesn’t love knowing the time in different time zones around the world? 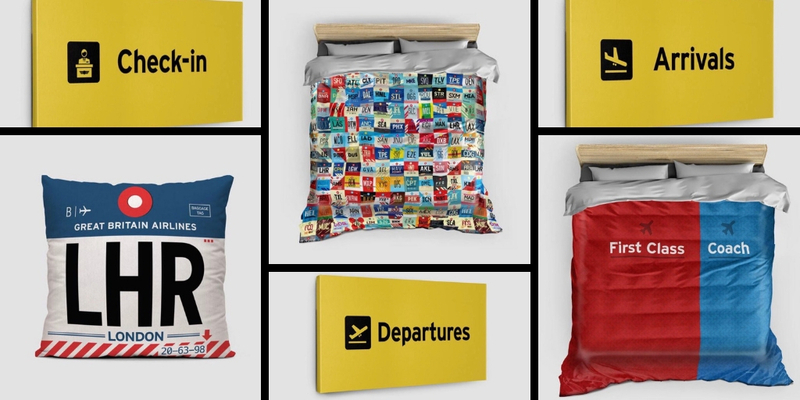 This deserves a place in any travel lovers home! 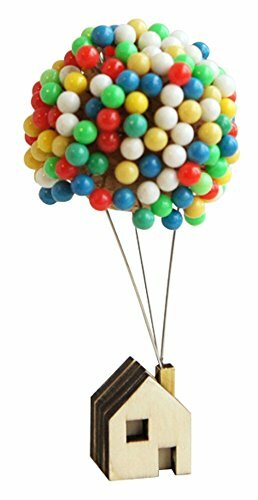 Perfect to add to your world map this balloon pin house can move when you do! A really cute addition to any travel themed map! 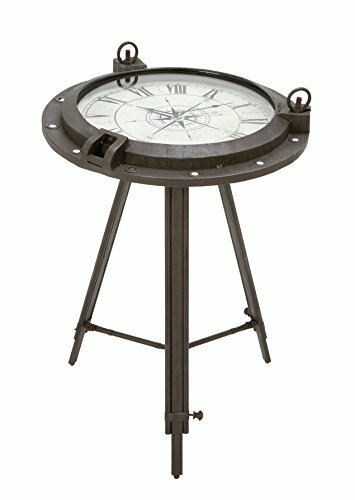 A compass clock and a stunning table all in one! 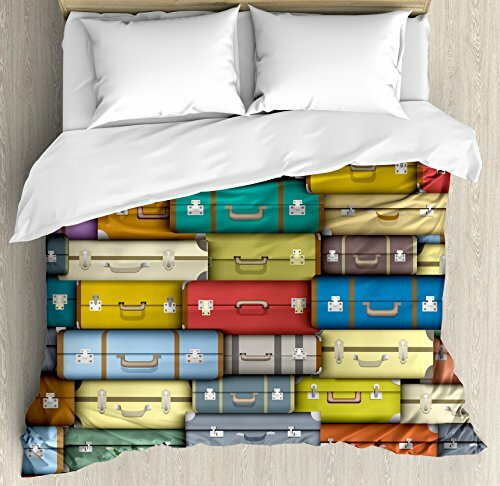 This is a beautiful addition to any travel themed room. 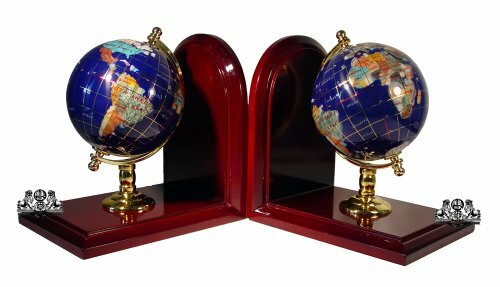 Keep all your travel books in order with these stunning globe bookends. 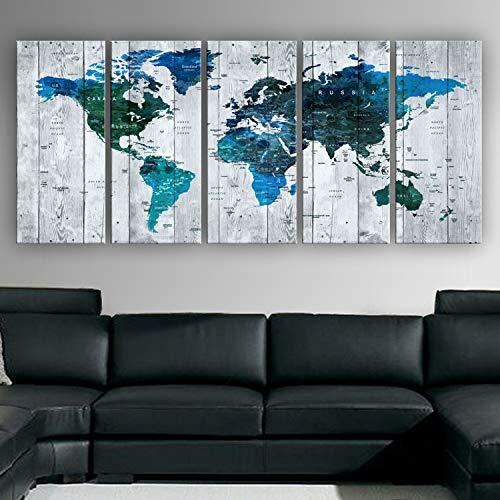 Create a stunning feature wall with this stunning world map wallpaper.